My January Birchbox was a pretty good one. I really enjoyed everything I received and I had fun trying out some of the products. Found some new favorites, for sure. Shiseido Ultimate Eye Power Infusing Eye Concentrate: This concentrate helps firm, and strengthen the skin around the eye area. It also boosts the benefits of other eye creams, which is very cool. I have used this a couple of times (on it's own, not in conjunction with another eye cream) and I do find that my eye area feels much softer and looks smoother. It doesn't irritate the skin around my eyes so that's a plus. This does contain somewhat of a strong fragrance, but it does dissipate after a bit. I will definitely continue to use this eye concentrate, and I hope to see an improvement around my eye area-especially the fine lines, after a couple of weeks. IPKN Flash Cream Radiant Primer: I am loving this face primer. It contains nourishing fruit extracts and shimmer pearl powder to help impart a healthy, radiant appearance to the skin; which it does so well. This primer blends beautifully into the skin, it feels good on, my foundation looks absolutely amazing applied over it, and the inclusion of SPF 15 is super appreciated. What's not to love? 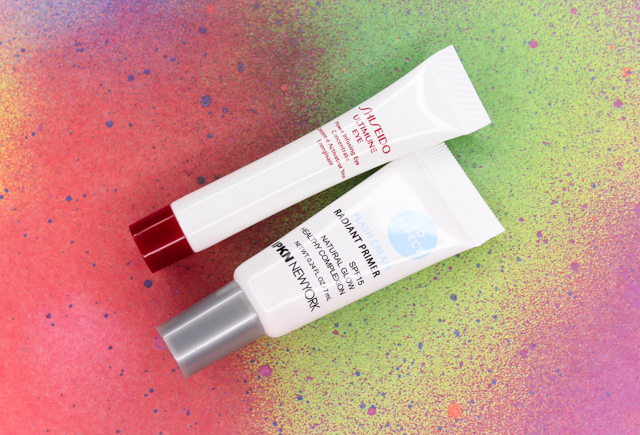 The IPKN Flash Cream Radiant Primer may just possibly be my new HG face primer! Harvey Prince Bailando: This vegan and paraben-free fragrance is lovely. It contains notes of Spanish mandarin, Indian jasmine, and orange flower on a base of sandalwood, vanilla, and musk. The notes play so well together and they create a warm scent that's perfect to sport during the cold season. 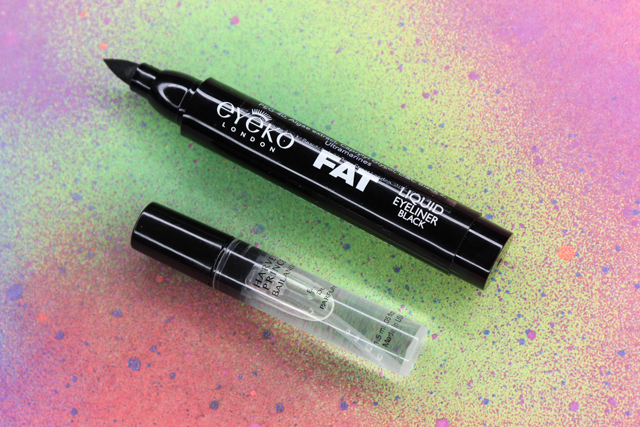 Eyeko Fat Liquid Liner: If you are longtime readers of my blog then you all know my feelings towards liquid eyeliners. Long story short-I find them intimidating to use. I am a gel eyeliner kinda girl, all the way. I typically steer clear of chubby eyeliner pens like this one from Eyeko but I just had to give it a try. What did I have to lose? Well...I really like it! It was surprisingly easy to apply and not hard at all to control. Creating a thick, sharp winged-out line couldn't have been any easier. The black liner has a super rich color payoff, it's smudge-proof, and the drying time is pretty quick. Something to keep in mind is that this dries and sets to a glossy finish, not matte like gel and pencil eyeliners. 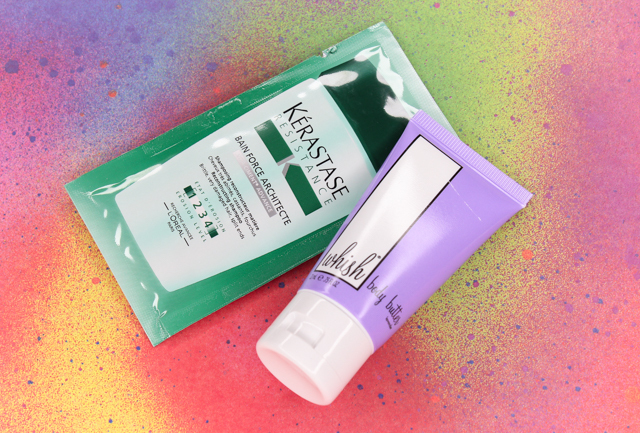 Kerastase Bain Force Architecture: This shampoo helps restore, strengthen, and add shine to strands. It sounds like a treat for my dry, damaged hair. I can't wait to give it a go. Whish Three Whishes Body Butter: This body butter contains antioxidant-rich moisturizers which help soothe, soften, nourish, and firm skin. This lotion feels nice on the skin, and it doesn't leave behind a greasy residue. As for the lavender scent, it is nice, albeit a bit too strong for my taste. 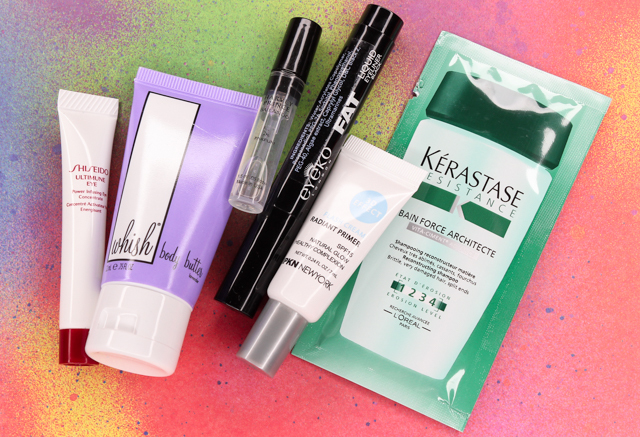 If you want to sign up for a monthly Birchbox subscription you can do so, here. 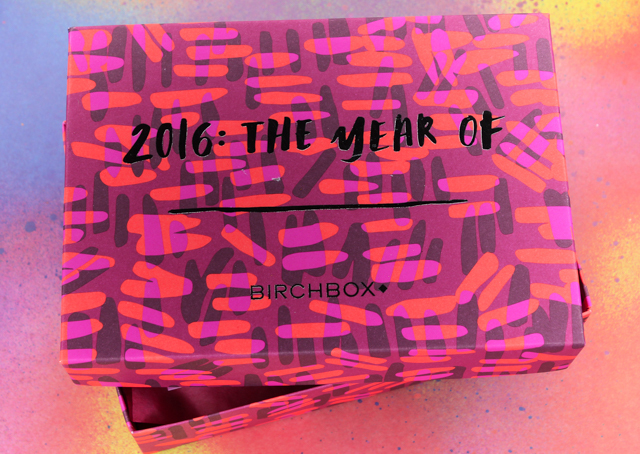 What did you receive in your January Birchbox?